I only started to enjoy eating asparagus recently. I should have discovered it earlier as it’s one of the easiest vegetables to prepare and I like how crunchy it taste when it’s freshly cooked. In fact, I like it so much so that I’ve been cooking a dish with this springÂ vegetable forÂ my lunchbox almost every other day. 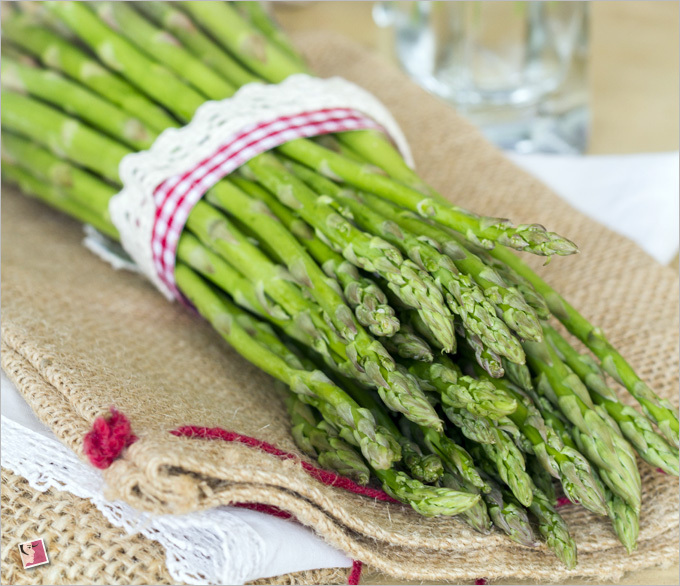 Asparagus is packed with 93 percent water content and chock-full of vitamins. 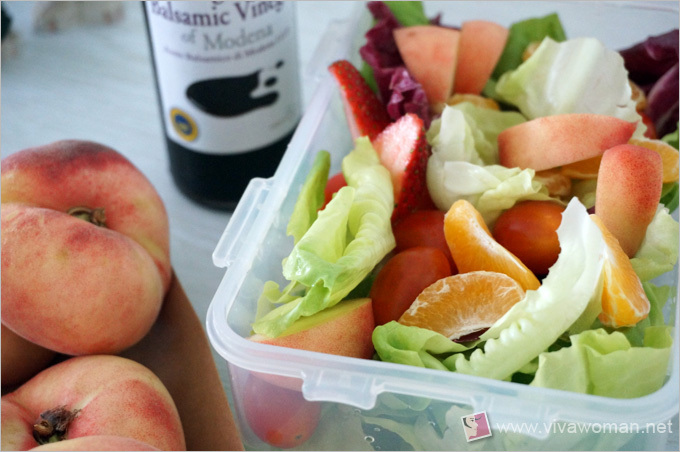 Â ItÂ has low sodium and high vitamins level, especially vitamin B6. Other than that, the plant also has zinc, magnesium, and calcium, making it an ideal vegetable to eat all year round. Asparagus contains glutathione, a phytochemical with antioxidant and anticarcinogenic properties that helpÂ to protect the cells of the body from the harmful toxins. AsÂ a side effect, glutathione make the skin lighter as it protects the cells from free radicals responsible for skin pigmentation and blemishes. Asparagus contains vitamins A and C,Â which areÂ known to boost production of collagen fibers that help keep skin smooth and firm. Â The glutathione found in asparagus also help to stop the action of some enzymes that naturally break down collagen. Regular consumption of asparagus help regulate blood sugarÂ as this vegetableÂ is an excellent source of many different B vitamins, including B1, B2, B3, and B6. TheseÂ B vitamins work together to metabolize glucose to regulate blood sugar, whichÂ prevent inflammation and glycation. For those who aren’t aware, glycation is bad news for our skin as it causesÂ the break down of collagen and elastin, as well as exacerbate skin conditions like acne and rosacea. The high water content found in asparagus help to keep the skin hydrated, which in turn will reduce the sebum secretion on the face. As sebum secretion is lessened, acne and pimples are less likely to multiply. At the same time, asparagus is a good source of fiber that will aid in maintaining a healthy digestive system. Naturally, acne is less likely to thrive with a healthy digestive system. With a high vitamin K content, asparagus acts asÂ a naturalÂ diuretic that helps detoxify the body and remove excess water (your pee might smell a bit funky too). With frequent consumption, this spring vegetable can help to reduce puffiness in our face or body due to excessive water content. Asparagus has low calories and contains about 11 percent fiber. This fiberÂ content helps to suppress appetite, thereby making you feel filled for a long time—eventually reducing food intake, thereby decreasing the body weight. Because asparagus also helpÂ maintain stable blood sugar levels, that’ll help you avoid crashes and binges that can lead to overeating. 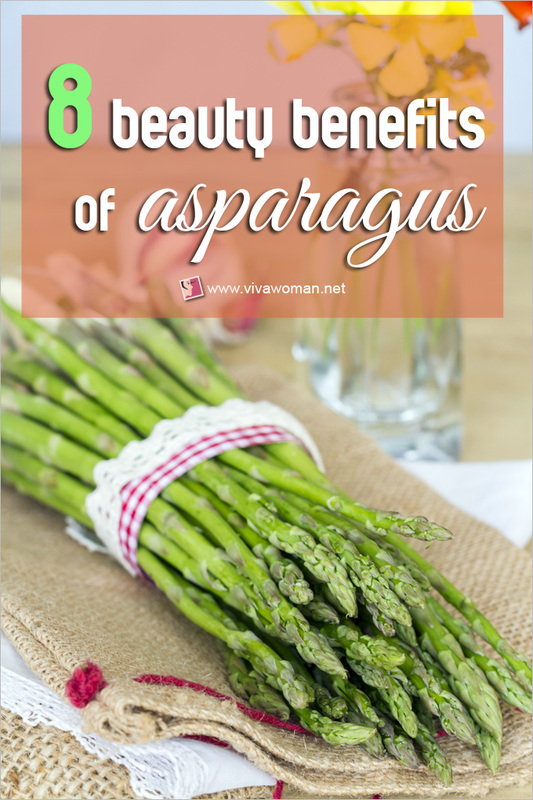 Asparagus is often recommended as a nourishing food to restore hormonal balance in women. Regular consumption can help to regulate the menstrual cycle andÂ ease PMSÂ symptoms like mood swing and tension as well as combat symptoms of menopause. In fact, asparagus has been used traditionally to treat many reproductive conditions such as heavy bleeding, painful periods, absence of menstruation, infertility, low libido, fibroids and the various symptoms of menopause. The vitamin A, C, antioxidants and calcium contents in the asparagus add more strength to the roots of hair. As a result, it prevents hair fall and promotes hair growth. You are encouraged to eat the asparagus to gain these benefits but I am also aware thatÂ asparagus can be used in topical application. Apparently, some people apply asparagus directly to the skin as it’s supposedly great for cleansing, drying sores and treating acne. I’ve been purchasing organic asparagus but I understand that it’sÂ one of the cleanest vegetables around with lesser traces ofÂ pesticides. So it may be quite safe to purchase non-organic asparagus if cost is a concern. Also, look for those that are green with smooth and firm spears. Avoid wrinkled ones and those that have aÂ yellowish lookÂ that aren’t as fresh. You should cook your asparagus soonest as storing them for a couple of days in the fridge can result in a wooden texture. 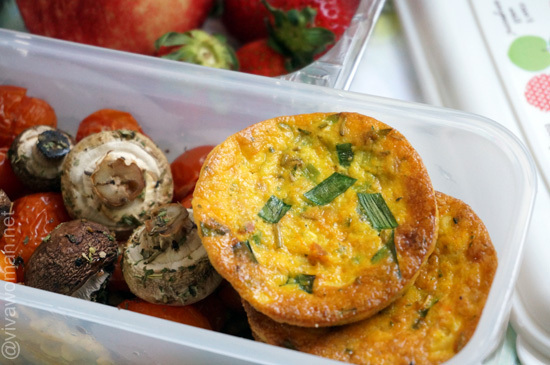 But if you must store them, keeping them wrapped in a damp cloth will make them last longer in the fridge. To prepare asparagus, all you need is to wash them. You can cook the entire spear or cut them up into small stalks. There are many ways to cook them—roast, grill or stir-fry your asparagus. You can even boil or steam them for around 5 minutesÂ until they are tender. 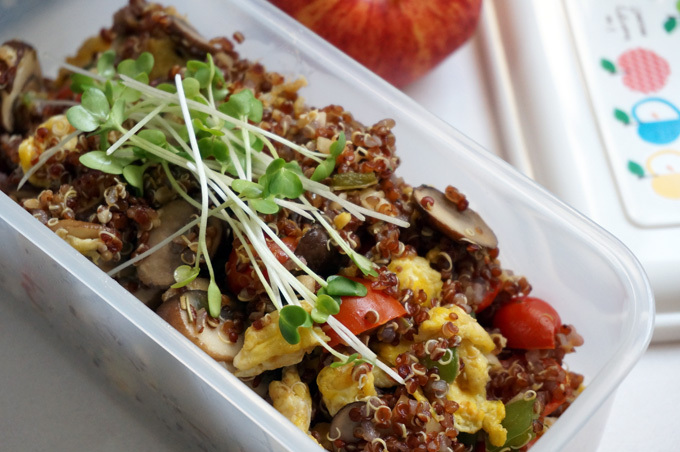 Here’s a simple dish I’ve been whipping up for my lunchbox with asparagus. 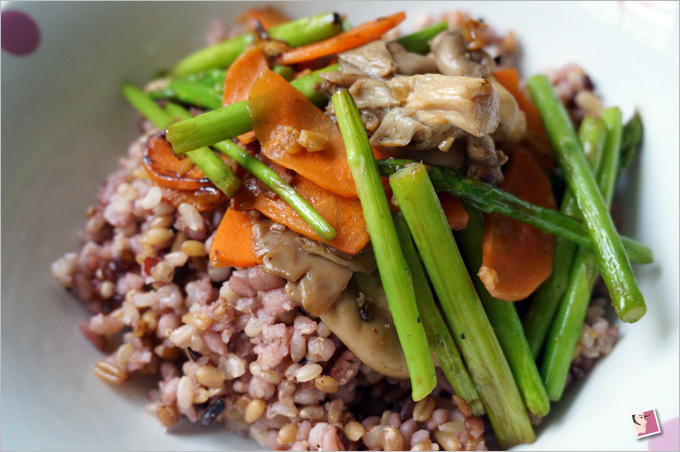 Stir-fried asparagus with mushroom and carrot topped on 5-grain rice. This is an easy recipe which does not take up a lot of time to prepare. Of course you can adapt it to include other ingredients of your choice. If you don’t have chicken stock, you can also add some chicken stock powder. If the latter is used, there is no need for you to add any more salt. Personally, I find asparagus taste better with some seasoning so I’m less incline to steam or boil them. Also, I like them a little crunchy so I may consider roasting them in future. Oh, I’ve come acrossÂ some smoothie recipes that include asparagus but I’ll give those a pass. Thank you very much. Anyway, if you like asparagus, do let us know how you usually eat them. Love asparagus 🙂 Usually will try roasting the asparagus, and add a couple of fresh cloves of garlic and a little freshly grated of lemon zest for that extra flavour.